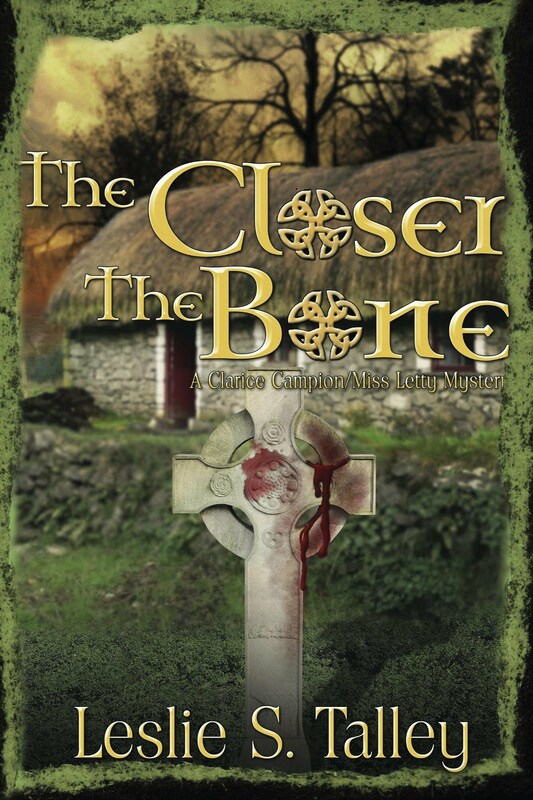 The Closer the Bone, the third adventure of sleuths Clarice Campion and Miss Letty, finds Clarice, husband Otis, and Miss Letty, former star of the Silent Screen, acting as exchange innkeepers at Flanagan's Guest House in Bray, County Wicklow, Ireland. From the first they are locked between two feuding families, the Quinns and the Donovans. Seamus Quinn is found stabbed and bleeding out on Flanagan's doorstep although the trail of blood leads from the Donovans'. Assorted disparate winter boarders add fuel of their own. Had Seamus tried to blackmail someone? Why do people keep disappearing and reappearing at Flanagan's? And why does Fergus Flanagan return abruptly from his odyssey in Florida? What is he hiding? And who puts foxglove in his tea? Clarice and Miss Letty's search for answers leads them to a convent in Cork, a tinker camp on the Beara Peninsula, and Athlone, home of two of their boarders. All in all they consult T.D. Doyle, the representative for Bray; an Anglican vicar; and a tabloid journalist. But the murderer has plans for Clarice: an 'accidental' fall onto the DART (Dublin Area Rapid Transit) tracks which run behind Flanagan's. Will Clarice escape and reveal secrets that will rock Ireland to its core? Fans of Make Old Bones and Bred in the Bone won't want to miss this latest installment in the series.